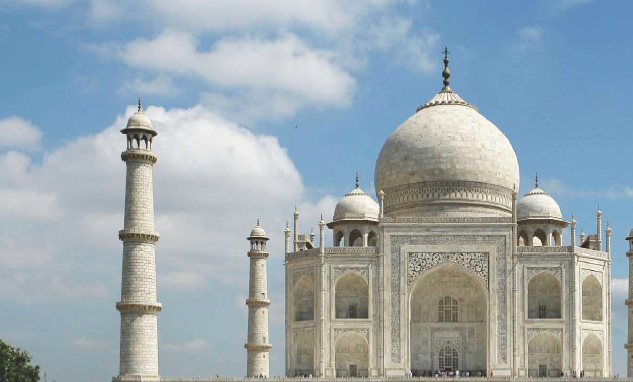 Concerned over the Taj Mahal turning brownish and greenish in colour due to rising pollution levels, the Supreme Court asked the Centre and Uttar Pradesh government to rope in international experts to preserve the marble monument, lamenting that the authorities had failed to protect it. A bench of Justices Madan B Lokur and Deepak Gupta expressed shock after perusing the latest pictures of Taj Mahal, showing its pristine white marble changing colour due to pollution, and directed the authorities to consult renowned experts from the country and abroad to preserve the historical monument. “Earlier it was turning yellow and now it is becoming brown and green. It is very serious. It seems you are helpless. It has to be saved. You can get help from experts from outside to assess the damage done and restore it” the bench said. Additional Solicitor General (ASG) ANS Nadkarni, appearing for the Centre, told the bench that it was the duty of ASI to preserve and protect the monument. He said there were many experts in the country whose help could be sought for preserving the heritage. “There seems to be lack of will and expertise”, the bench said and asked for a plan to restore the beauty of Taj. Advocate Shri M C Mehta, who had been fighting a legal battle for the last three decades for preserving the monument, said the Centre and state Government had not followed the SC’s orders, resulting in damage to the heritage site. The court has been monitoring the case for the last 31 years after it was contended that growing pollution level in Agra posed serious danger to the Taj Mahal and it had restrained authorities from cutting down any tree in the Taj Trapezium Zone (TTZ) – a 10,400 sq km. trapezium-shaped area covering five districts. The TTZ comprises over 40 protected monuments, including three World Heritage Sites – Taj Mahal, Agra Fort and Fatehpur Sikri.